Kids will have fun practicing place value with this fun math game for kindergarten, 1st grade, 2nd grade, and 3 rd grade kids. 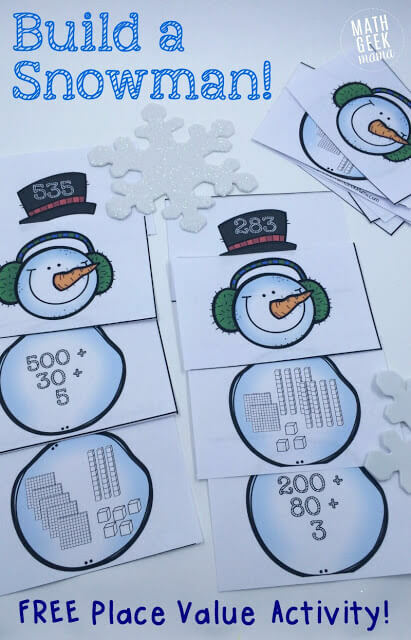 Free printable Place Value Snowman is loads of fun. This winter kids K-3rd grade will have a blast practicing place values with this super cute, free printable Build a Snowman! from Math Geek Mama.